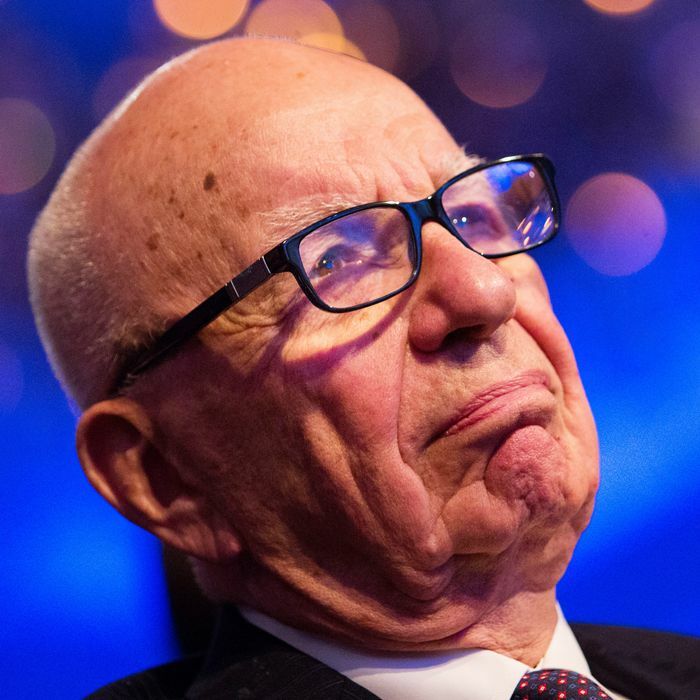 Rupert Murdoch Really Wants to Buy Time Warner. Here’s the Insane List of Companies He’d Own. As if he doesn’t lord over enough already, 21st Century Fox (and News Corp.) mogul Rupert Murdoch is interested in purchasing fellow conglomerate Time Warner in a Voltron-like merger that would form a megamedia company of colossal size and scope. The New York Times’ DealBook reports that Murdoch and Co. recently made an $80 billion takeover bid and were rejected, but do not plan on giving up that easily. Then there are the previously spun-off Murdoch newspapers (The Sun, The Times, The Sunday Times, The Wall Street Journal, the New York Post, The Australian, The Daily Telegraph, The Sunday Telegraph, The Herald-Sun, The Courier Mail, The Sunday Mail, The Advertiser, NT News, The Sunday Territorian, The Sunday Times, The Sunday Tasmanian …) and Australian networks among the News Corp. half of things. Left out in the cold would be CNN, which DealBook reports would be sold to avoid antitrust issues, and because Fox News’ success more or less makes it irrelevant. CBS and ABC could be left to pick up the scraps. When Time Warner CEO Jeff Bewkes was asked about a potential deal with Fox or even Google at the Sun Valley conference last week, he told Variety, “I know nothing about it.” It was coy, but now everyone knows a lot about it. And, as DealBook points out, Murdoch, who is perhaps in his deal-making twilight, has a history of getting what he wants — “pursuing bold deals that were often rebuffed at first by the targets of his overtures, only to later acquiesce.” This thing is not over.